Xane is a sentient skeletal warrior, usually in tattered shirt and pants, and wields a halberd. His eyes are always a nebulous blue, with a brighter blue in the center. 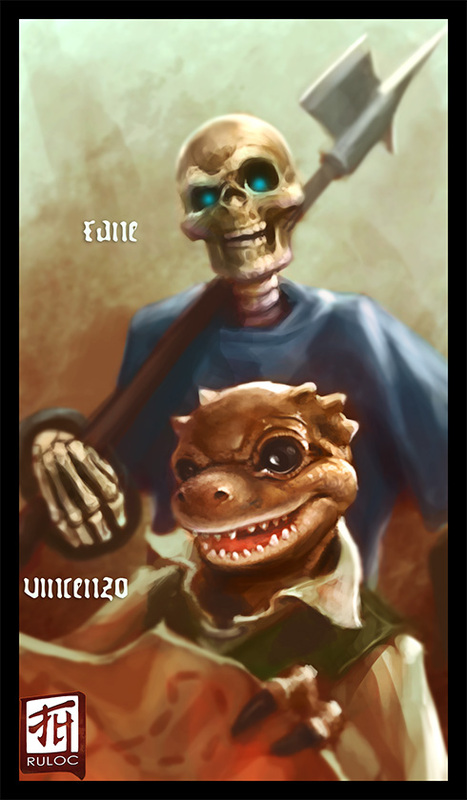 Vinny (Vincenzo) is a kobold dressed in pirate finery, and a devilish grin. He dual wields a rapier and dagger, but rarely draws first. A real lady's man....er humanoid.